Well, the clutch wouldn’t bleed on the Fiat so I switched jobs. 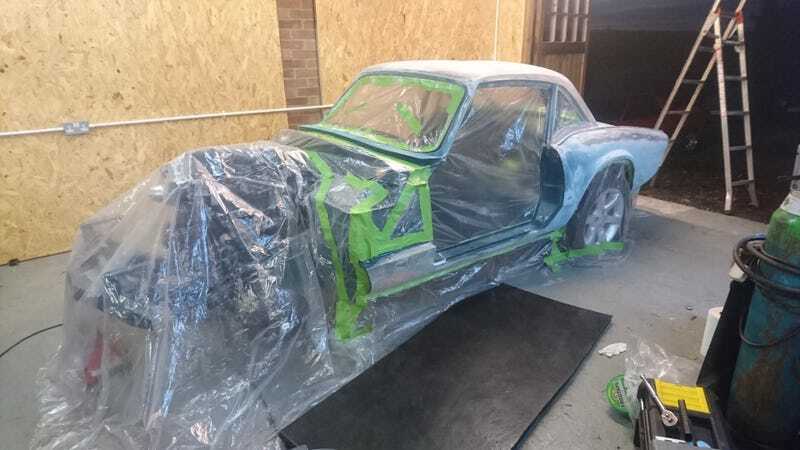 Fiat out, Spitfire in and masked ready for paint! It’s only taken 9 months of filling and sanding. 9. Months. If it’s not flat I’ll cry.